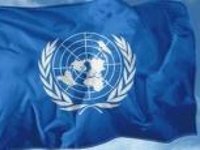 The Office of the High Commissioner for Human Rights (OHCHR) recorded 91 conflict-related civilian casualties in Ukraine in August, the UN Office for the Coordination of Humanitarian Affairs has reported. According to the UN Humanitarian Bulletin, 16 civilians have been killed and 75 injured by shelling, mines and small arms fire in August. In June and July, 20 civilians had been killed and 122 injured altogether. "Shelling, including from heavy artillery, which is prohibited according to the Minsk agreements, accounted for the majority (70%) of civilian casualties in August. Small arms and light weapons caused 13 casualties (five deaths and eight injuries); seven casualties (two killed and five injured) were caused by mines and Explosive Remnants of War," the office reported. Since the beginning of the conflict, at least 22,212 people have been wounded, and 9,569 have been killed. More than 2,000 of the fatalities were civilians.